Here it is...all your dreams come true! Impeccably remodeled and move-in ready. 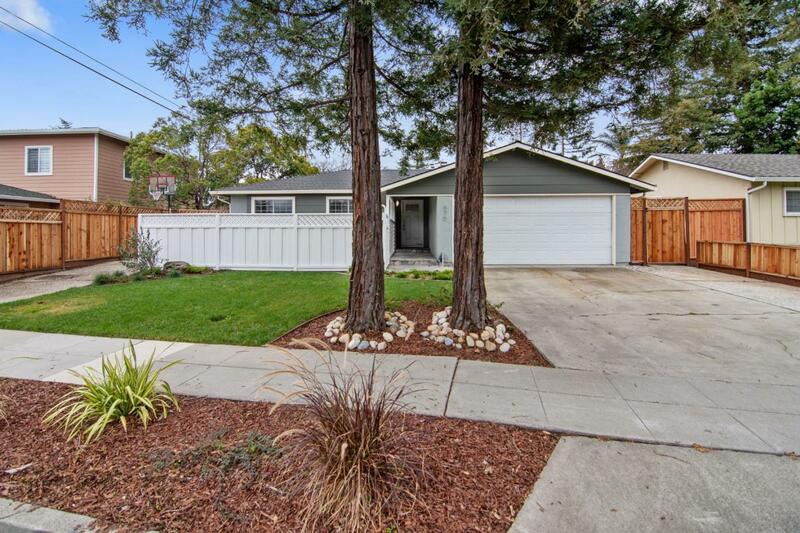 This beautiful property is professionally landscaped with a large, private front courtyard, towering, shady redwood trees and lush front lawn. In the backyard, a glistening, blue bottom pool that has been completely cleaned and refinished awaits family fun! Inside, a large kitchen with gorgeous custom backsplash, quartz counters, all new stainless steel appliances, new cabinets, abundant natural light , dining area and sliding doors to the beautiful back yard. New laminate flooring throughout, a serene neutral color scheme, and shimmering crystal chandelier reflects the sun pouring through sliding glass doors and floor to ceiling windows. A modern glass half-wall divides entry hall from the spacious living room. Beautifully updated bathrooms and master retreat make this house your dream come true. Great Campbell schools! Easy commute to major tech companies. You have arrived.